SMC is the only company in New Zealand that offers the range of complete services – from events to brand design. Evolving from our experience in designing events as a marketing tool, we have developed an instinct for brand communication that allows us to get the maximum benefit for our clients. We have partnered with, and brought in-house, key strategic partners that enables us to offer a complete package to our clients. SMC delivers brand activation across a range of different mediums, from strategic conceptual planning to design and implementation. 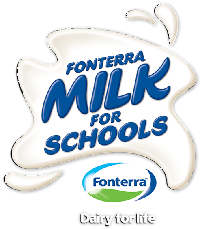 SMC worked in conjunction with Fonterra to plan a the ‘Milk For Schools” Launch. Hosted at a local primary school, the theme was country comes to the city. Hay bales, farm animals, balloons, milk tanker and tractors will provide the back drop for the fun day. The pupils played games with hero’s such as Richie McCaw. The formal part of the day included a stage with the back drop of a Fonterra Milk tanker for offical speeches and media interview. The day was reported live on TV1 and TV3 news. SMC manages a wide range of event specific sponsor activation. Being at the forefront of the event planning phase, we understand what works and what doesn’t! A sponsor of the Sanitarium Weet-Bix Kids TRYathlon, Haier desired to have a “fun and free” activation for kids, to take the stress away from parents! Selfie Board - A free standing selfie board that depicted a large front loader washing machine. Kids stood behind, with an area to insert head. Bubbles and foam graphic looked like the washing machine was on. We work closely with clients to design bespoke, client specific events. Create an emotional connection with staff, shareholders and New Zealanders through the proposition that ‘together we are celebrating our New Zealandness’. Facilitate a genuine grass-roots community celebration of Fonterra’s 10th anniversary. Build a sense of pride, belonging and co-operative spirit among Fonterra staff and shareholders. Fonterra deemed this as a ‘Great Success”! In-house strategic partner, Design Distillery, manages all of SMC’s campaigns as well as sponsor and other client design specific work. A proficient design practice and strategic partner to SMC. Design Distillery is a small Auckland based agency specialising across a range of creative and innovative solutions. Design Distillery harbours a combined experience of over 45 years - building fundamental design to maximise marketing and business strategies.